Boudl Al Rass Hotel is conveniently located in the popular Ar Rass area. The hotel offers a high standard of service and amenities to suit the individual needs of all travelers. Free Wi-Fi in all rooms, Wi-Fi in public areas, car park, family room, safety deposit boxes are just some of the facilities on offer. Each guestroom is elegantly furnished and equipped with handy amenities. The hotel offers various recreational opportunities. 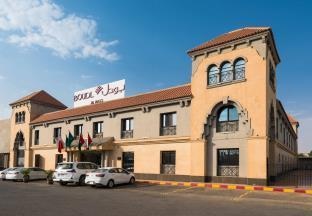 Convenience and comfort makes Boudl Al Rass Hotel the perfect choice for your stay in Ar Rass.